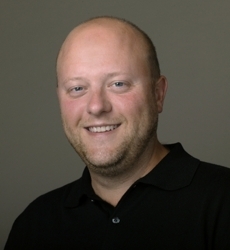 Editor’s note: This is a guest post written by Jeremy Allaire, founder and CEO of Brightcove. Prior to Brightcove, Jeremy founded Allaire Corporation which was subsequently acquired by Macromedia due to the success of their web development tool ColdFusion. At Macromedia, Jeremy helped create the Macromedia MX (Flash) platform. You can see a recent interview of Jeremy here. As one of the guys who helped build the Flash Platform, we asked him to weigh in on the recent HTML5 v. Flash debate. The recent introduction of the new Apple iPad has stirred the discussion over the future of web content and application runtime formats, and shone light onto the political and business battles emerging between Apple, Adobe and Google. These discussion are often highly polarized and irrational. My hope in this post is to help provide some balance and clarity onto this discussion. I have a particularly unique perspective, stake and role in this discussion. My first company (Allaire) was born during the advent of the Web, with the idea that a browser and HTML could form the basis for creating content-rich, interactive software applications, ones that didn’t require native code and could be platform and operating system independent. We built ColdFusion as a way to realize this vision. We later became deeply committed to the world of HTML as a developer format, acquiring and building HomeSite, what was the world’s dominant Windows-based HTML authoring application. In 2000, it became clear to me that web applications and runtimes were not advancing fast enough, and that with the emerging world of broadband internet connectivity that an entirely new realm of rich internet applications would be possible. We (Allaire and Macromedia) merged our companies with the vision that a new class of browser-based applications would emerge, and that we could evolve Macromedia Flash Player from its origins as an animation and motion-graphics engine into a real application platform and rich client runtime that fused media (text, audio, images, video), communications (web services, real-time APIs) and interactivity (rich client-side object model and UI component framework). In March of 2002 we launched the Macromedia MX Platform, anchored around the new Flash runtime, and realized this vision for the transformation of the Web experience and enabling a new class of rich, browser-based applications. Today, my company sits at the center of these new battles over the future of web content and app formats and runtimes. We work with thousands of media publishers who aim to maximize the distribution, reach and user opportunities with their content. This new re-fracturing of web content runtimes is creating challenges (and opportunities) for us and our peers. I think it’s critical to first frame and understand this discussion with the broader political economy of Internet software platforms. Most of the debate and discussion over HTML5 vs. Flash vs. Native Apps has little to do with what is the right technical approach, or whether something is open or closed, it has to do with the expressions of power and control that drive the businesses of the Internet’s dominant platform companies — Apple, Adobe, Google and Microsoft. Each of these companies seeks to create unique runtimes and APIs that provide a strategic wedge that can drive other aspects of their business. At one level this is a battle for the hearts and minds of developers and ISVs, but these developers are merely a means to an end. Gaining broad adoption for their runtime platforms translates into their ability to create massive derivative value through downstream products and services. For Apple, this is hardware and paid media (content and apps) sales. For Google, this is about creating massive reach for their advertising platforms and products. For Adobe, this about creating major new applications businesses based on their platform. For Microsoft, it is about driving unit sales of their core OS and business applications. I’m often asked “Will HTML5 replace Flash?” on the Web. The quick answer is no. However, there is a lot of nuance here and it’s helpful to make the distinction between two broad classes of content applications that are deployed in browsers. Much of the above classes of content applications are in reference to the PC/Browser-based Web. The explosive growth in hand-held computing has introduced an entirely new dynamic into the content and app run-time battles which in turn will have a cascading impact on the PC Web. Hand-held computing includes smartphones (iPhone, Android, Nokia, et. al), portable music/entertainment devices and tablet computing devices (iPad and Android devices). In many respects, the successful launch and growth of these devices has created an entirely new and largely blank canvas for content and applications. First, these devices offer new native services and OS-specific features (location, multi-touch UI, local media, wireless networking APIs, cameras, offline) that are giving birth to a massive new class of non-Web Apps that are built using proprietary native-code APIs and runtimes. Because of always-on broadband connectivity and easy to discovery App Stores, there has been rapid adoption of these new “disposable content apps”. Hand-held platforms create a new opportunity for platform vendors to disrupt runtime hegemony from platforms that have seen ascendance on the PC/Web, and controlling these new run-times and developer adoption of these runtimes has a direct impact on these platform vendors ability to own audience relationships and monetization opportunities. For example, a web-centric, HTML5-centric handheld world favors Google because it can leverage it’s existing dominance in search and web advertising. A proprietary App-centric universe favors Apple because it can become the primary gatekeeper to reaching the mobile audience and already has a pole position in integrating payments and advertising into content applications. In the case of hand-held platforms, however, it seems quite apparent that it is not a zero-sum game. Three runtime platforms will gain adoption and often even inter-mingle — HTML5 content and apps, Native Apps (that may contain Flash and HTML content), and HTML5 apps that contain and leverage Flash Player. There is a rich pallet of capabilities emerging, and each developer will need to consider what will be appropriate for their specific audience or application. It is also clear that the adoption of these diverse run-time platforms has the real potential to reconstitute fundamental relationships to audiences and monetization systems. I’m also often asked “Will HTML5 Video replace Flash Video?”. Posited as a winner-take-all, absolute, the answer is clearly no. But like the nuance of HTML5 vs. Flash on the Web, there is also a very nuanced and complex evolving landscape in the video format world. On the PC/Web, video has gained enormous momentum as a fundamental media type for all content on the Web. This has largely been driven by the adoption of Flash Video, which has approximately 75% market-share for online video. For most web and content app developers, this is fine, it is a great run-time and offers an excellent user experience and Adobe has done a very good job keeping the platform contemporary with the most demanding needs of video delivery and quality. It is the rapid emergence of hand-held devices, however, that is bringing this issue to the forefront. With massive growth in hand-held web browsing from smartphones, iTouch devices and the pending iPad product, this has raised a deeper issue for media publishers who are eager to have their content be accessible to end-users. In particular, it is the show-down between Apple, Google and Adobe over who can control video formats on these devices that is creating challenges. Again, this is not about “what is the right technical solution”, it is about the political economy of who controls the formats that in turn lead to owning downstream audience and monetization opportunities. The basic idea behind HTML5 video is that there would be a common video format that could be placed and rendered into any compatible web browser, conceptually replacing the need for the Flash run-time to render video in browsers. But there are enormous challenges with this, some political, some technical and some based on audience behavior. First, right now, there is a lack of common approach among browser makers on what format to use for the HTML video object. This lack of agreement represents a proxy for broader political battles. Apple promotes MPEG-4/H.264, which it uses for it’s device platforms. Microsoft promotes VC-1, it’s own standard video codec. Google has yet to fully weigh-in on what format to support, which leads me to speculate that they will soon introduce a new format, based on On2 VP8, but under a broad open source license to the format and technology. Firefox, with 24% share of the browser market, proposes to use the open source Ogg Vorbis codec. What few people realize is that while H.264 appears to be an open and free standard, in actuality it is not. It is a standard provided by the MPEG-LA consortsia, and is governed by commercial and IP restrictions, which will in 2014 impose a royalty and license requirement on all users of the technology. How can the open Web adopt a format that has such restrictions? It can’t. Google will make an end-run on this by launching an open format with an open source license for the technology, which according to industry experts delivers almost all of the same technical benefits as H.264. All of this is a long way of saying that there is still significant format tension and that it will take a long time for it to be resolved in next-gen browsers. Second, but related, is the raw reality of browser adoption and churn cycles, and the fact that online video publishers will only adopt standards that have extremely broad adoption. Until penetration rates consistently reach 80%, it will be hard for publishers to switch and adopt a single, new solution. It is more likely that HTML5 Video adoption will reach that critical mass on hand-held devices before it does on the PC/Web. Third, and equally important, is the more practical issue of the massive industry-wide ecosystem support for Flash Video. From advertising formats, to business logic for the interaction of video with ads and analytics, hundreds of 3rd party technology companies who have built solutions around online video that are built on Flash, not to mention high quality design and authoring tools that sit at the center of a large labor market for Flash design and development; all of this creates inertia for Flash and a relatively high industry-wide switching cost. But stepping back and looking at this specifically in the context of hand-held computing, where Apple is politically motivated to block the Flash runtime, it is apparent video publishers will be driven to build and operate solutions that leverage HTML5 Video on mobile and iPad browsing environments. Whether on the supply side of content and applications, or on the distribution and run-time side of the equation, what is abundantly clear is that reach is still king. For platform makers, these battles will continue as they all seek to drive sufficient reach for their open and proprietary standards such that they can exploit this distribution for their core commercial goals. Likewise, and more important, whatever standards and models deliver the broadest reach will ultimately drive what is adopted by publishers, developers and ISVs.